Come check out our new home. We're a whole NEW Pakachoag. 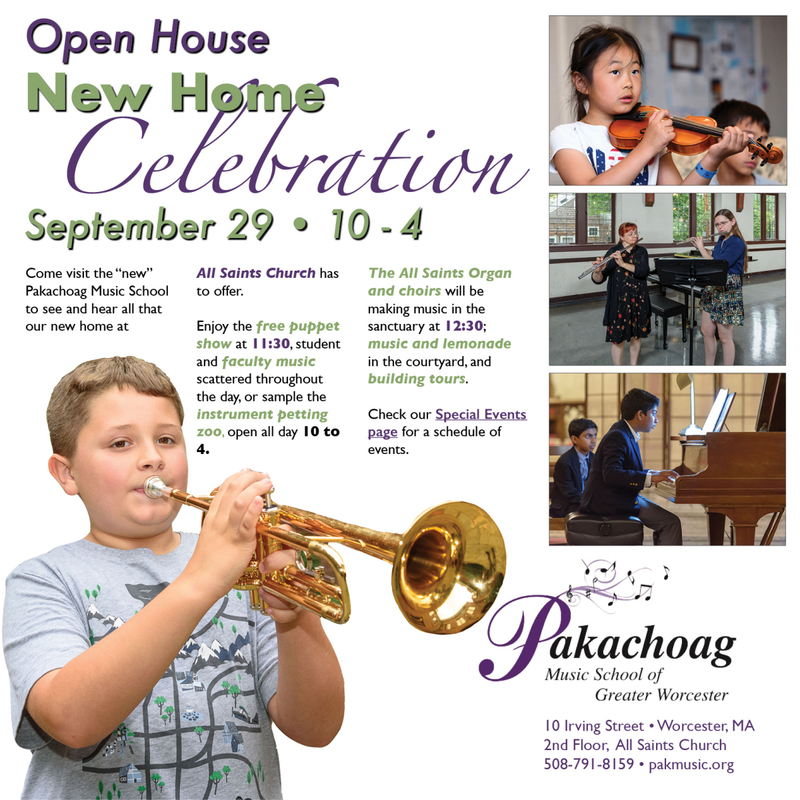 Drop in for the FREE Puppet show, meet Afternoon Tunes Outreach volunteers and hosts of the Instrument Petting Zoo, hear student musicians and school alumni perform; also mini-concerts with the All Saints Choirs, the organ, and Pakachoag faculty. Fiddlers and lemonade in the courtyard. View the new music studios, new school offices. Architectural tours of this historic church building and halls, and a scavenger hunt also provided courtesy of All Saints. Meet the Music School's new Program Director. Something for every age.